Janis K. Wittrig has taught using the Suzuki Method for more than 25 years. She has been a clinician at workshops throughout the continental United States, as well as in Hawaii, Canada and Singapore. Janis received a BA in Performance and an MS in Music Education from the University of Illinois. There, she studied violin and pedagogy with Paul Rolland and chamber music with Gabriel Magyar of the Hungarian String Quartet. Janis continued working with the Hungarian Quartet at Banff String Quartet Academy in Alberta, Canada. She did further advanced study at the University of Southern California, where she was first violinist of the Graduate String Quartet. Ms. Wittrig’s students have been first-place contest winners, have performed as soloists with orchestras in the Chicago area, and have been selected for SAA conference master classes. 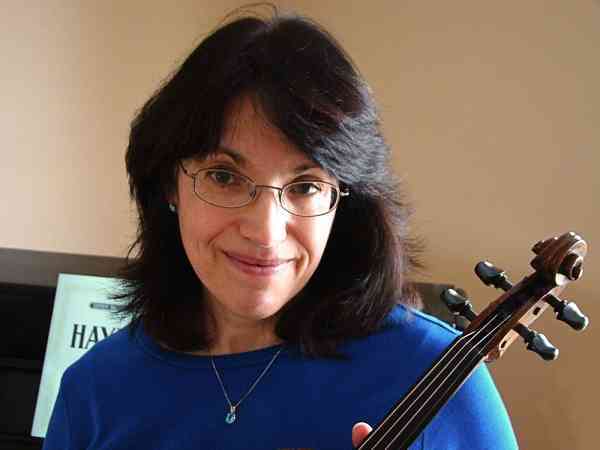 Janis has taught with the Pasadena and the Wheaton College Suzuki Programs and is currently a faculty member at the Western Springs School of Talent Education. Ms. Wittrig served as Concertmistress of the DuPage Symphony Orchestra from 2006 through 2013. In 2016, in recognition of her “pursuit of excellence in teaching” and that her “talent and skills as a fine violin teacher have produced a record five outstanding concertmasters,” the Youth Symphony of DuPage’s retiring music director, Meng-Kong Tham, presented her with a Golden Apple Award.